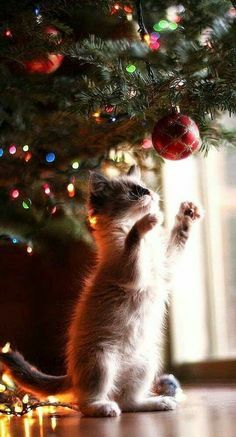 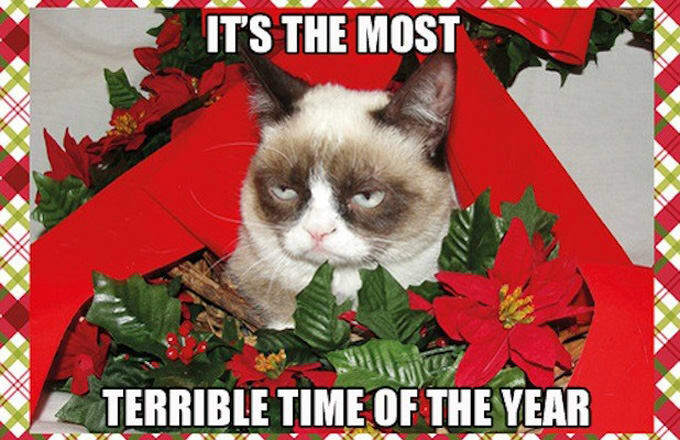 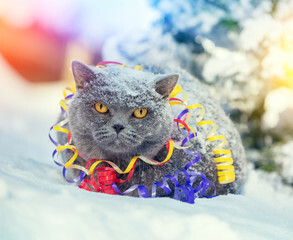 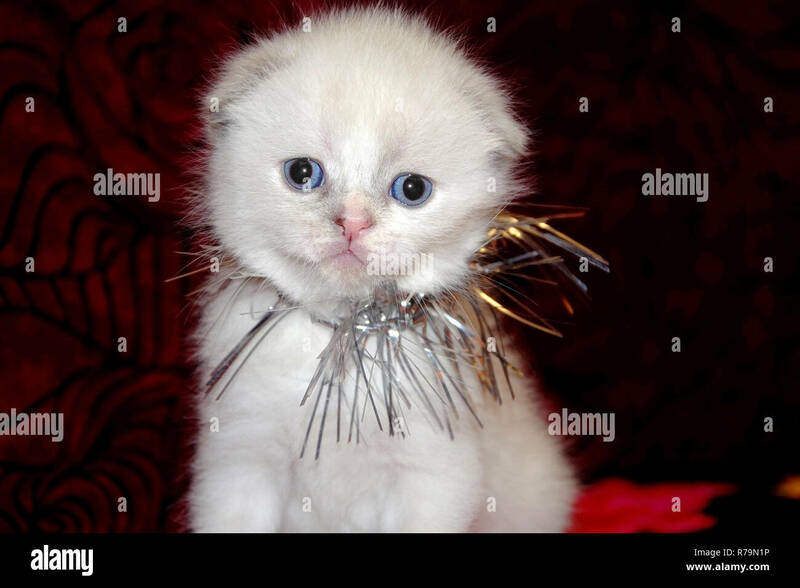 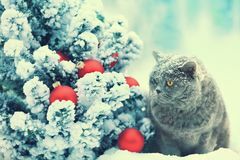 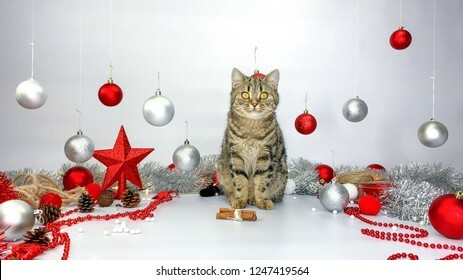 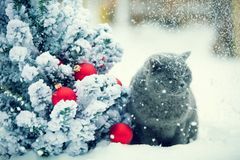 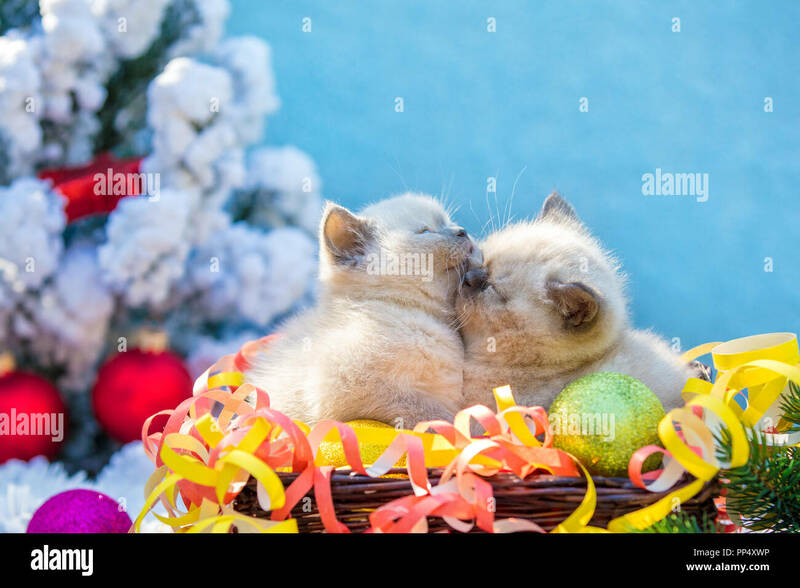 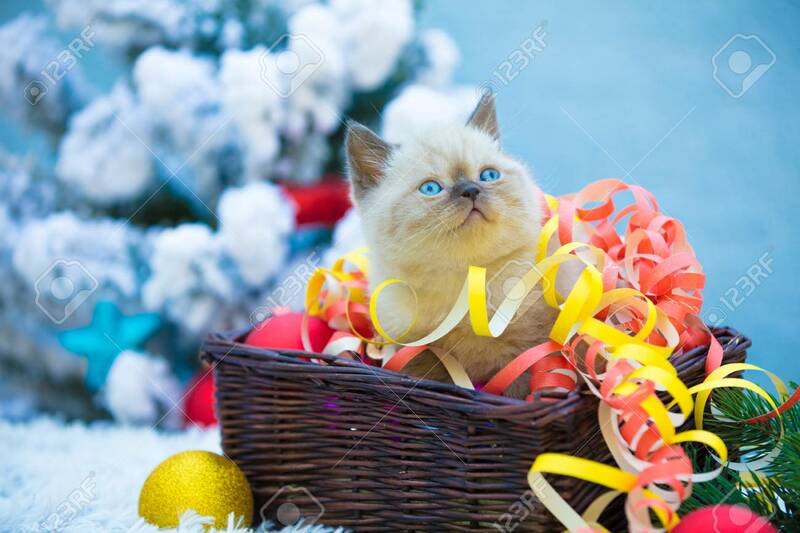 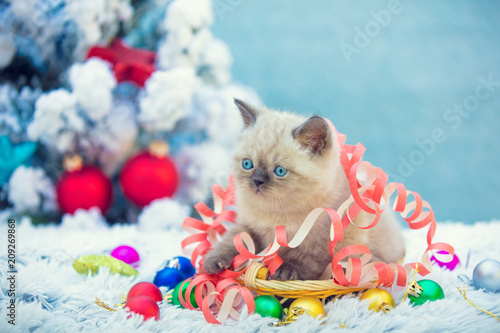 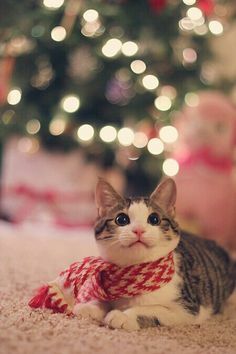 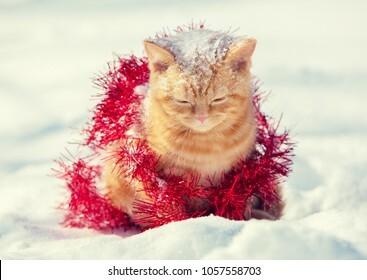 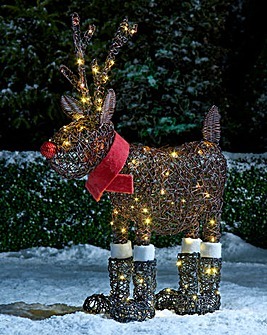 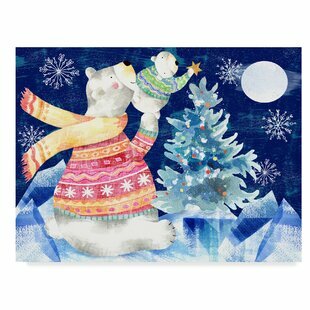 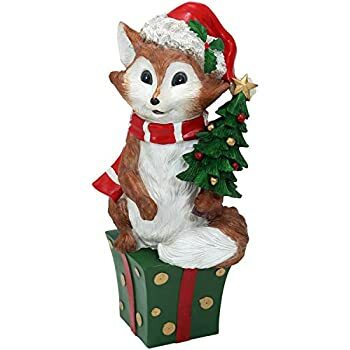 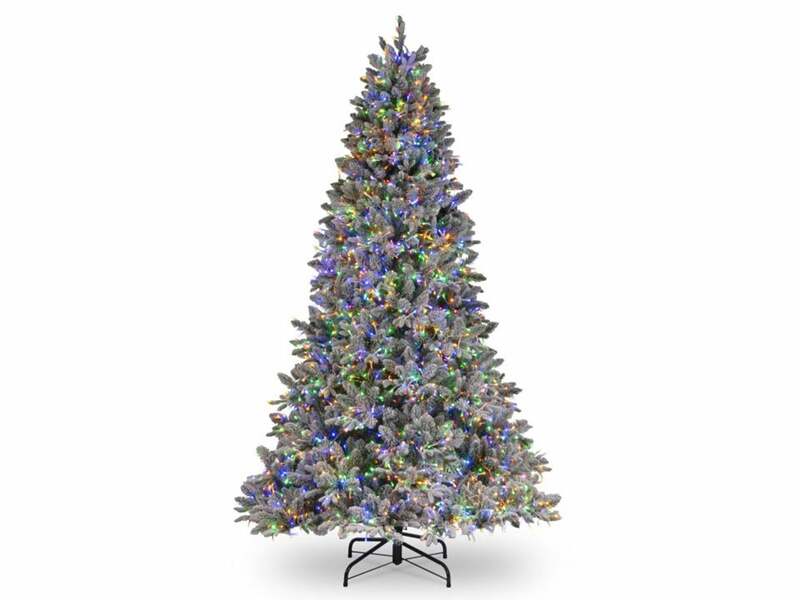 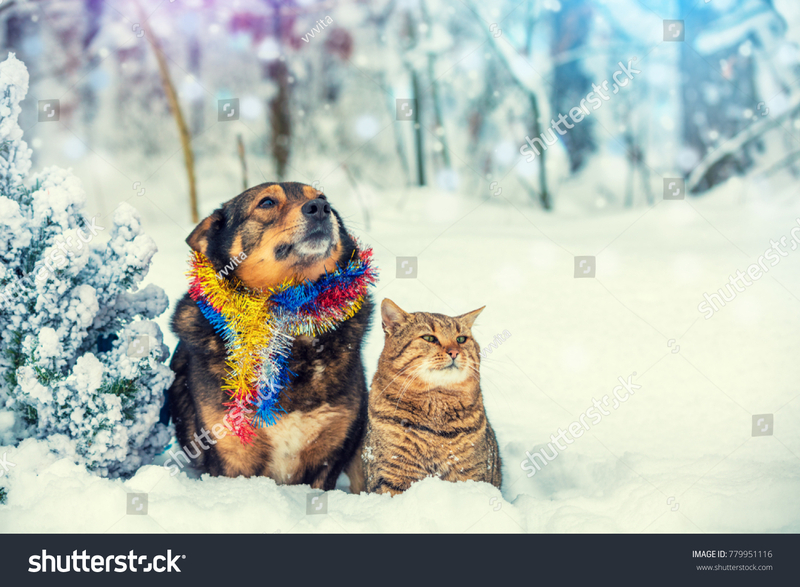 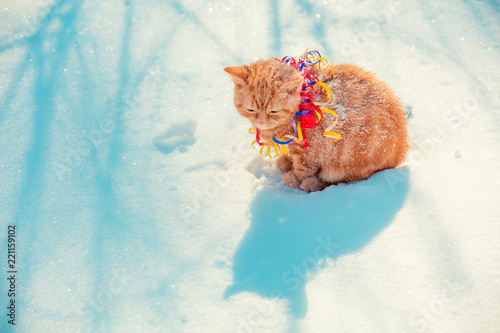 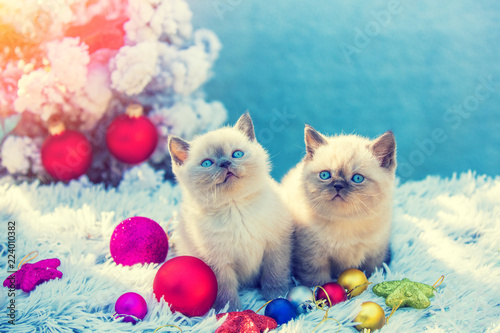 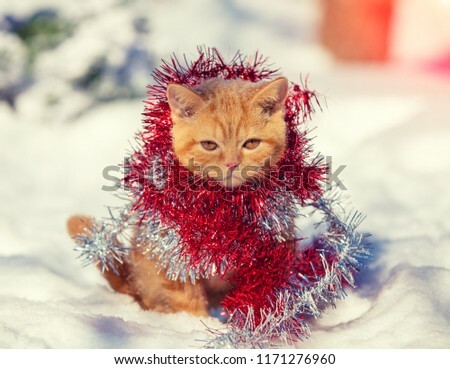 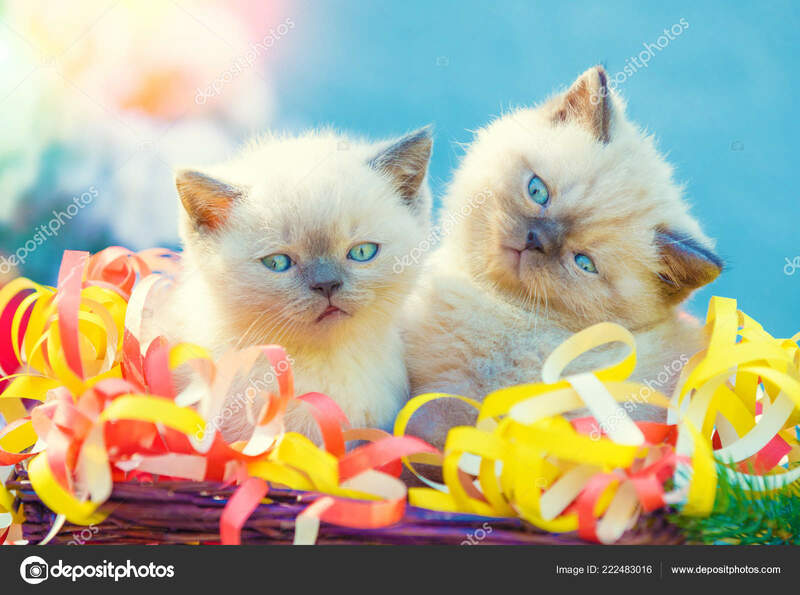 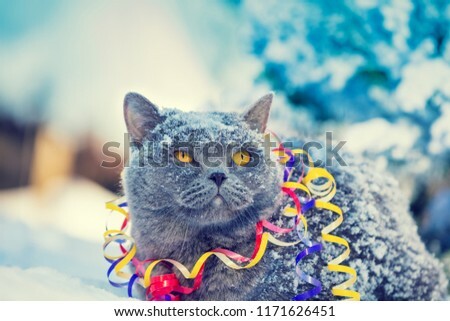 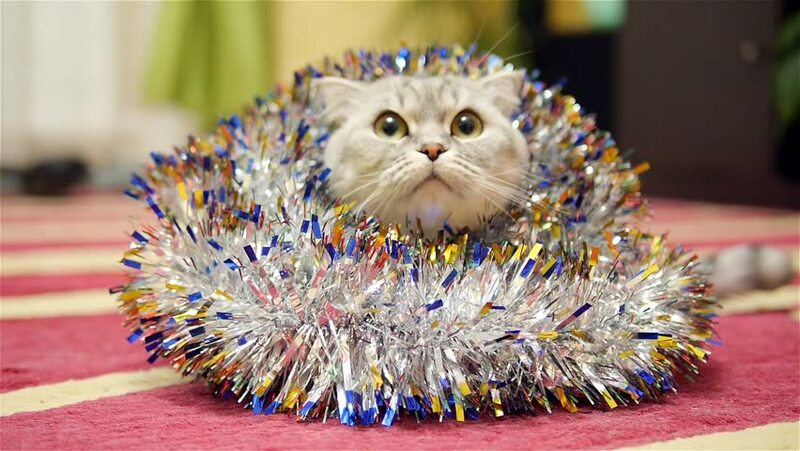 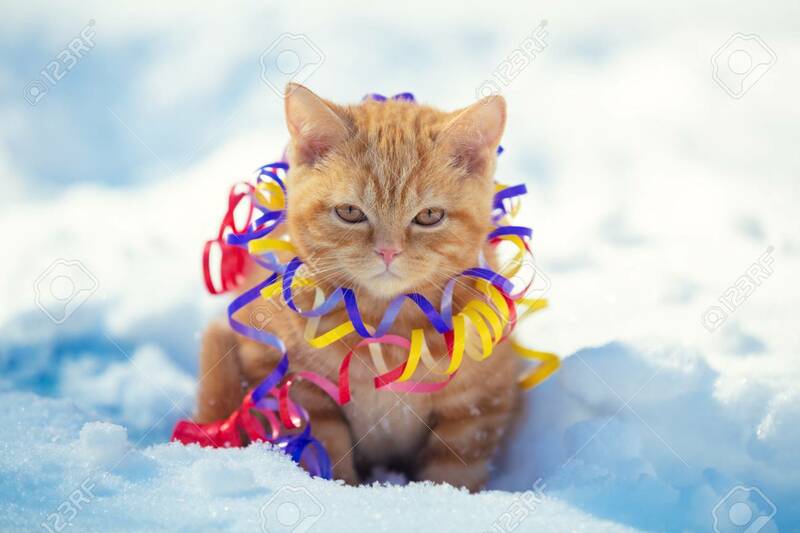 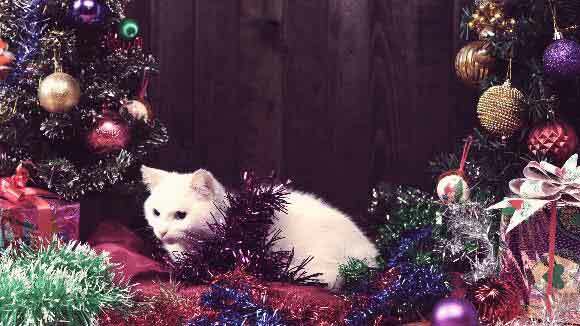 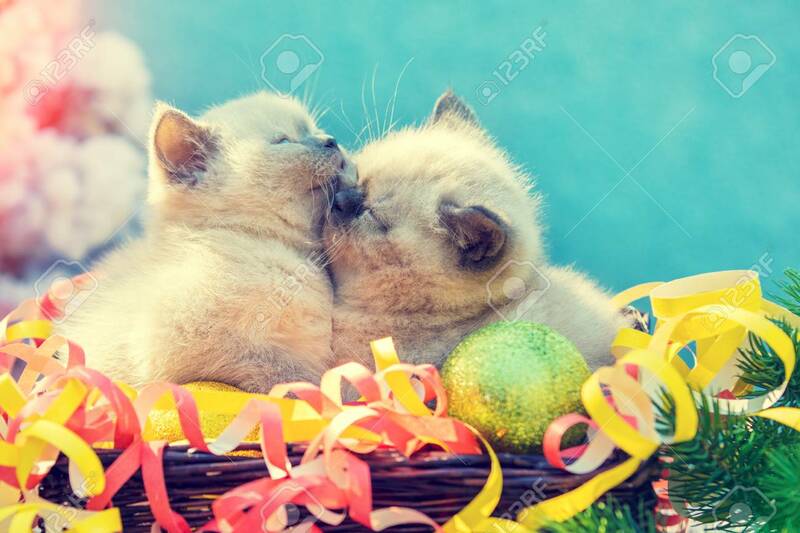 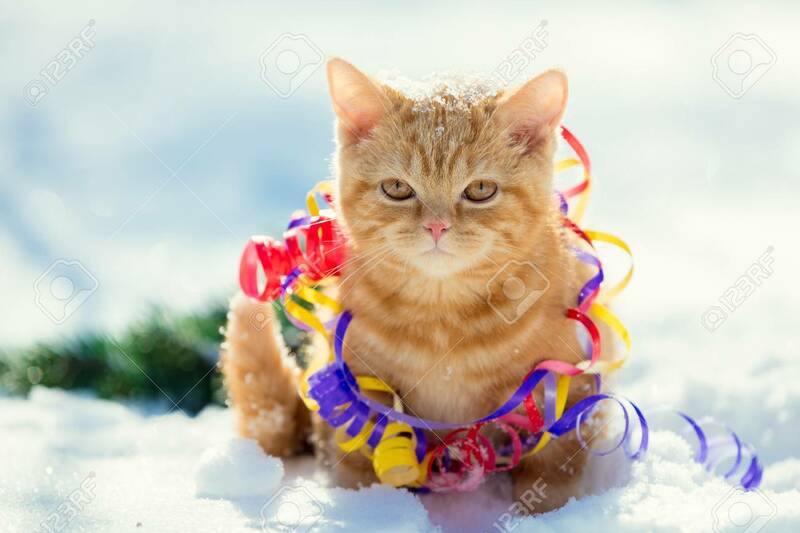 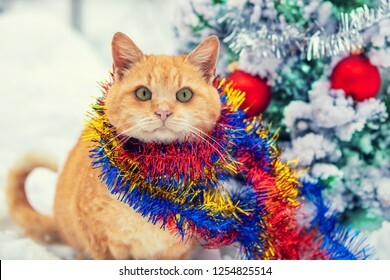 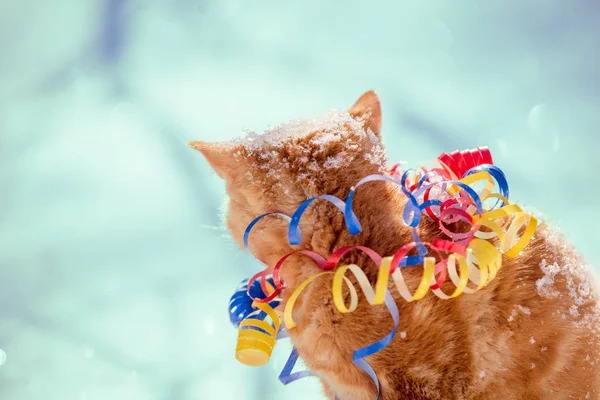 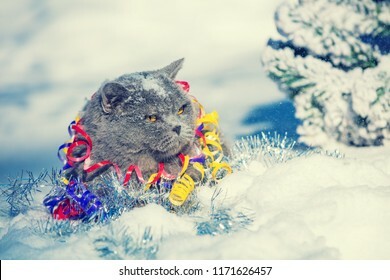 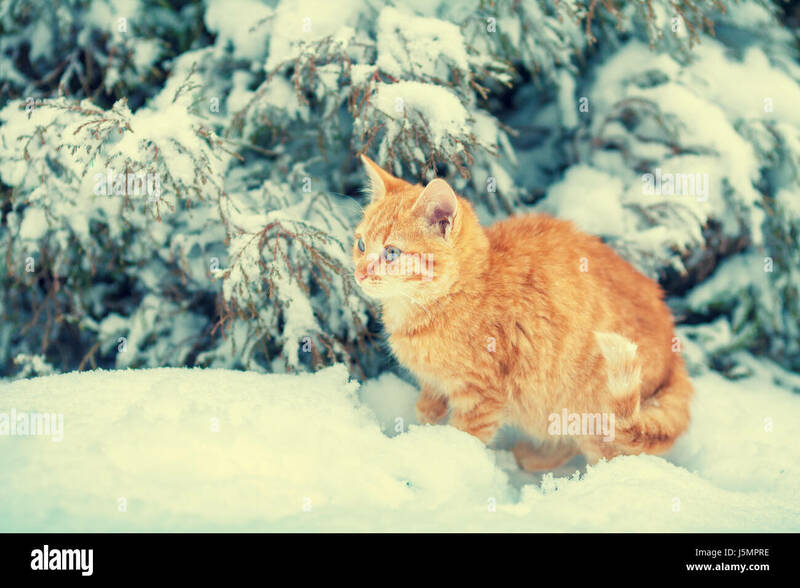 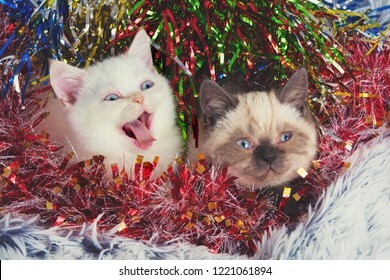 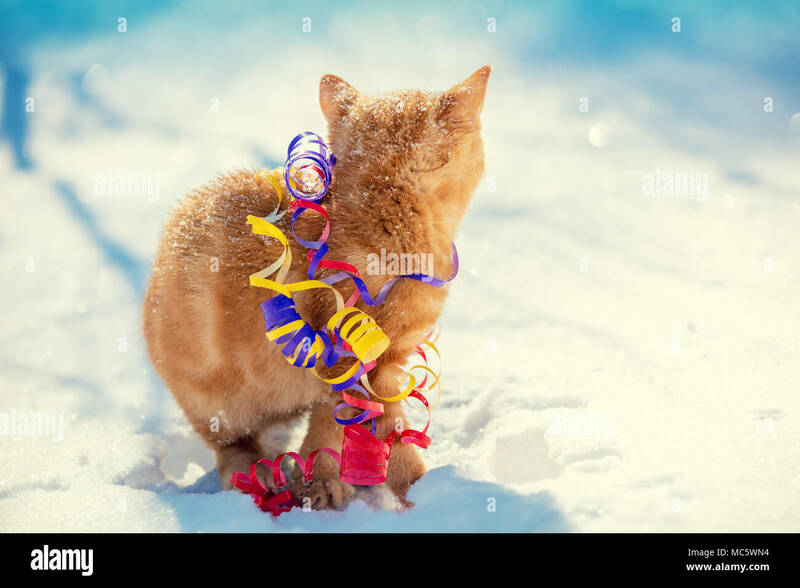 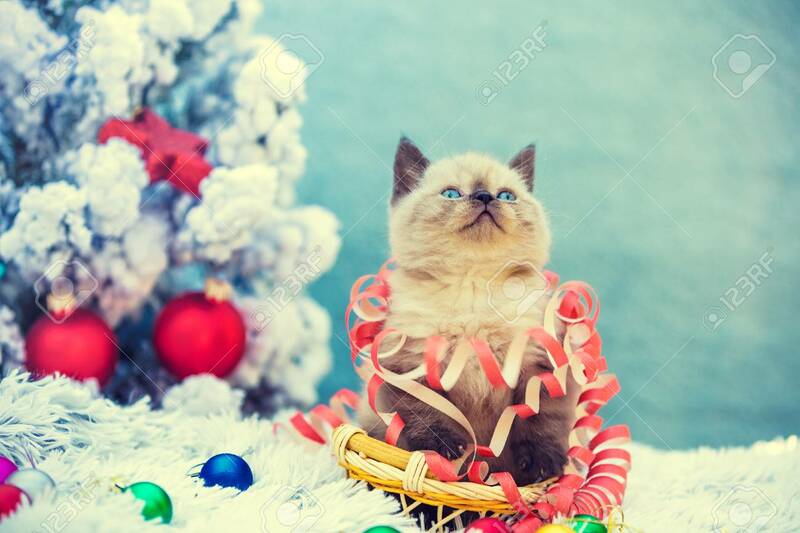 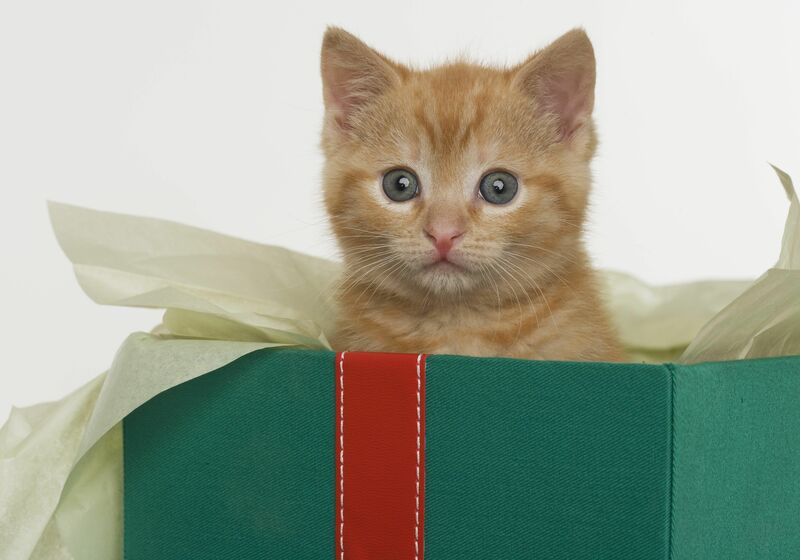 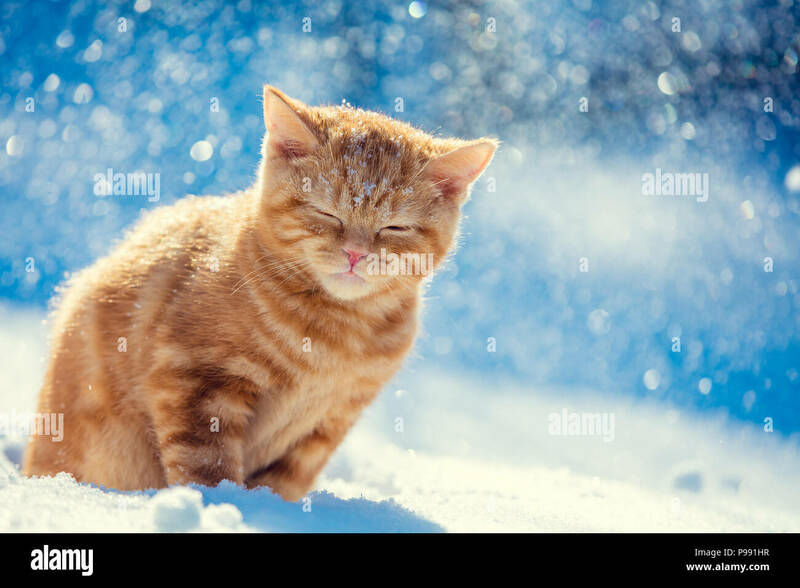 Kitten wrapped in christmas tinsel, sitting outdoors on the snow in winter. 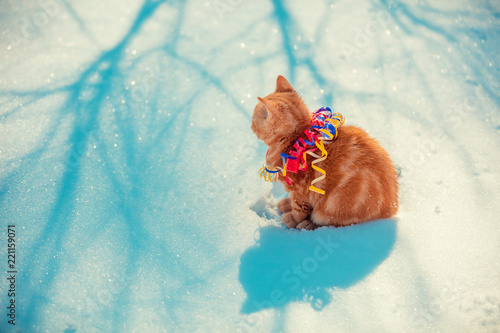 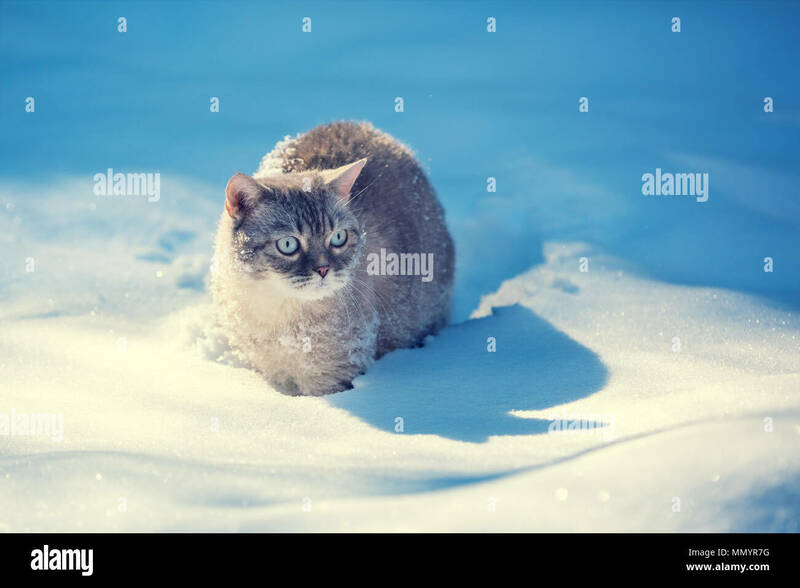 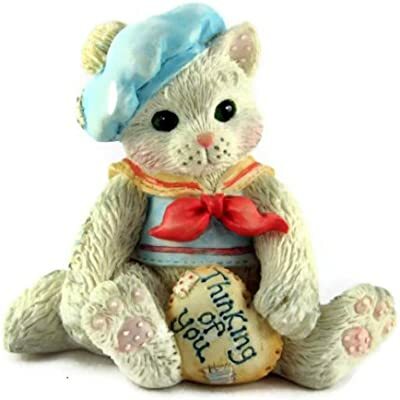 Little kitten wrapped in serpentine, sitting outdoors on the snow in winter. 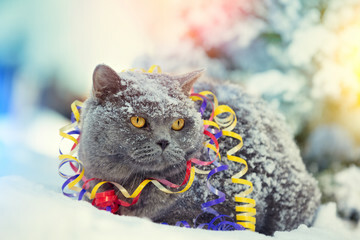 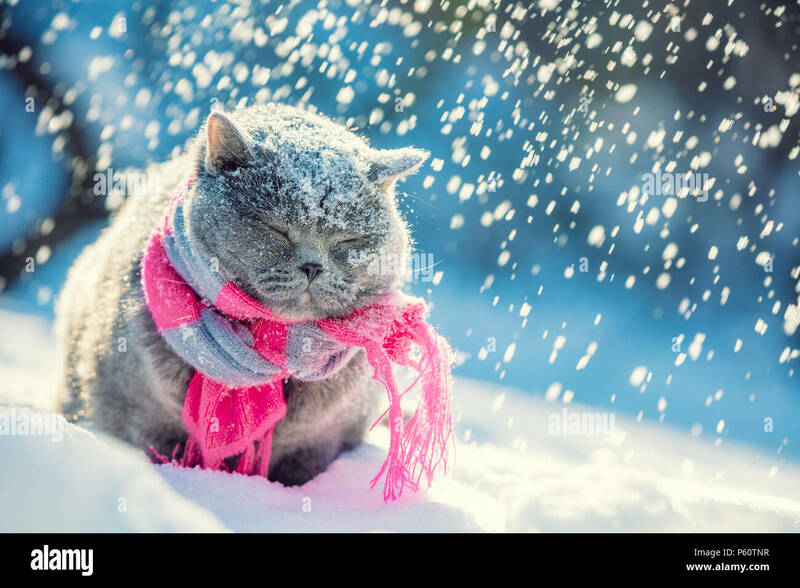 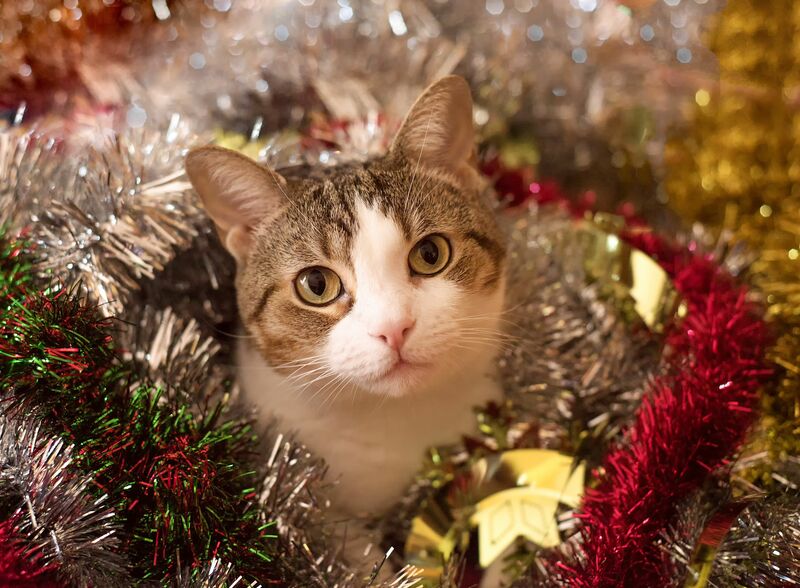 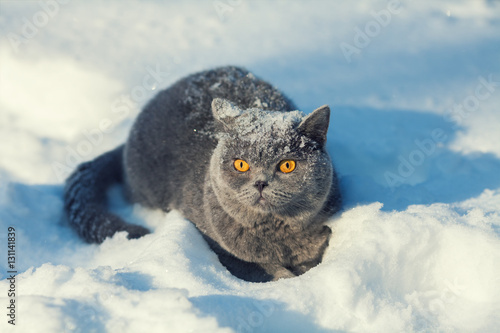 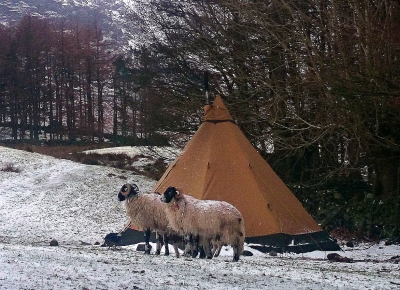 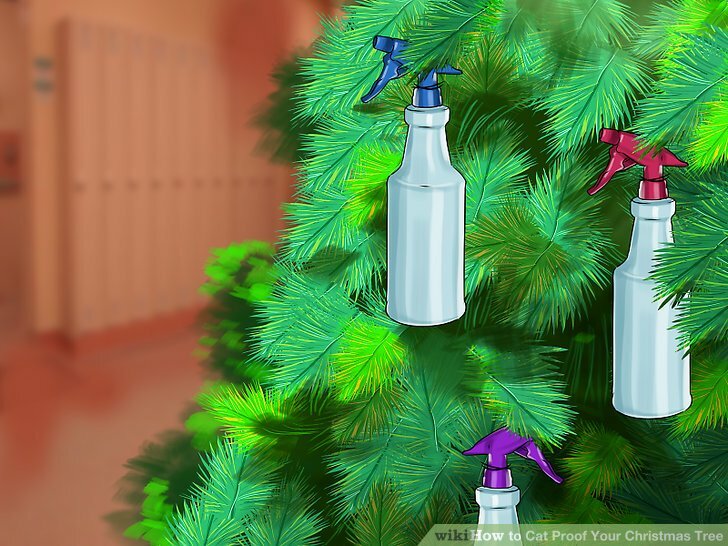 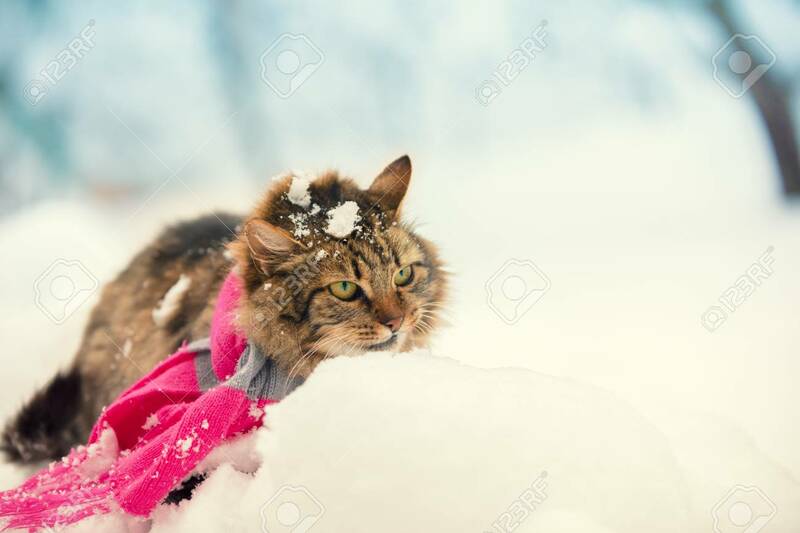 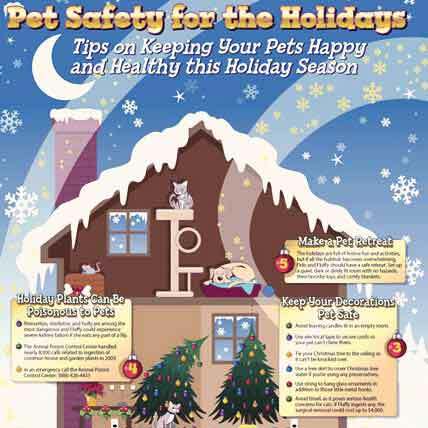 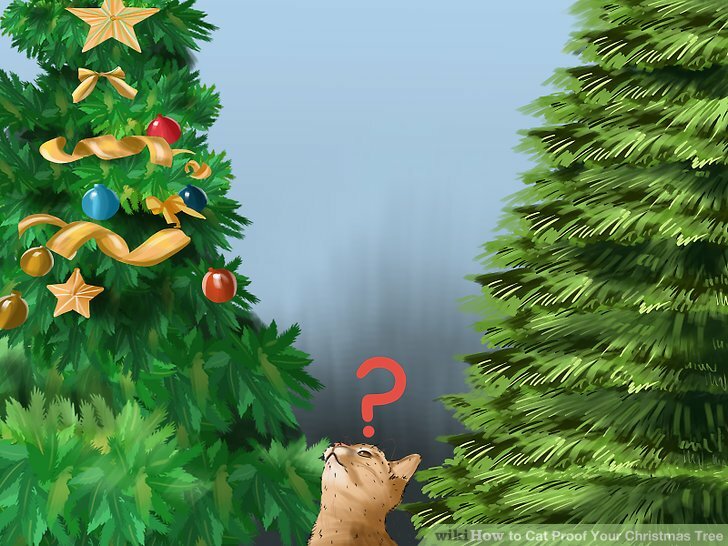 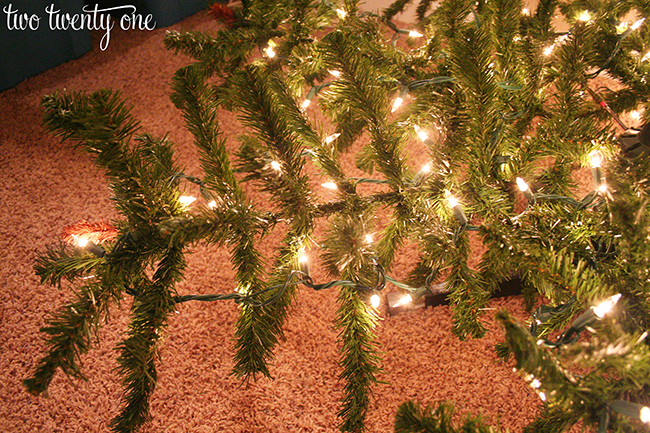 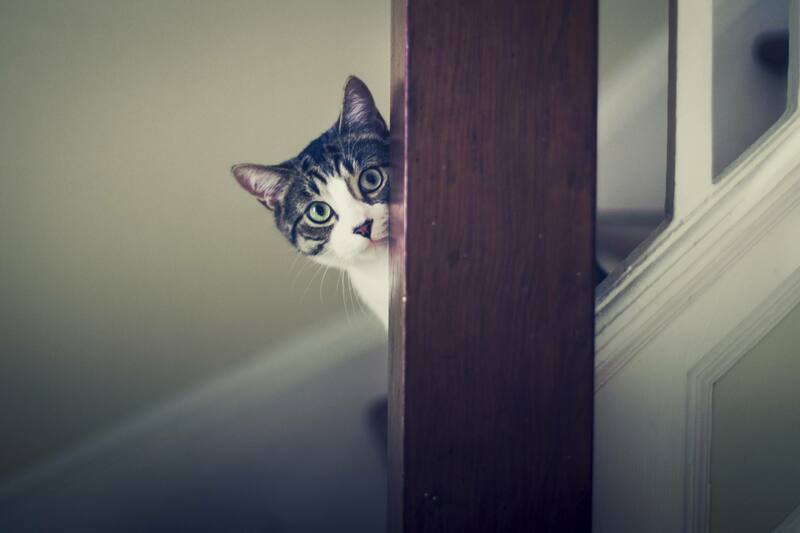 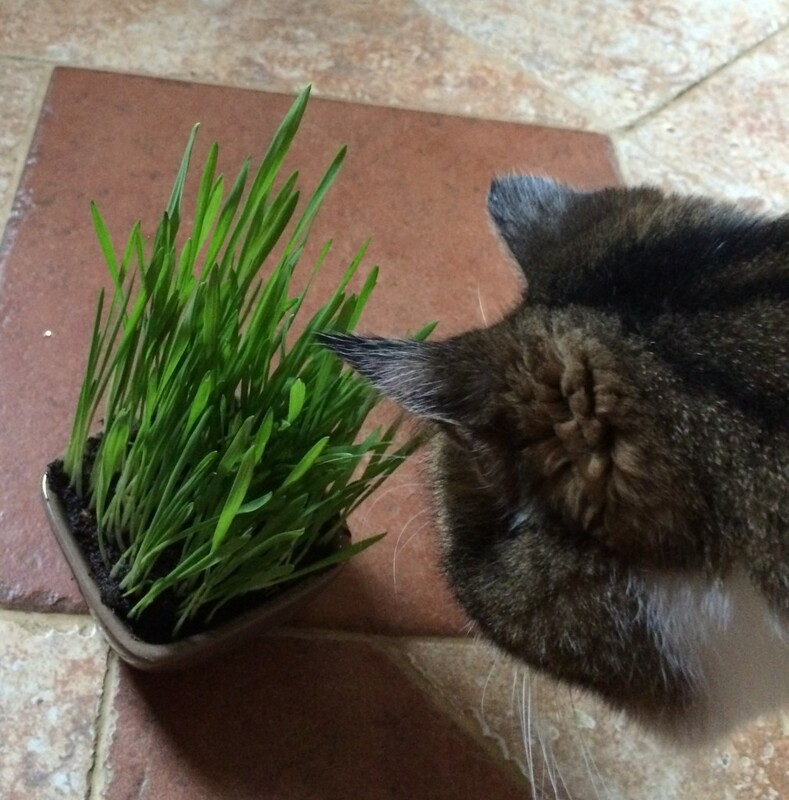 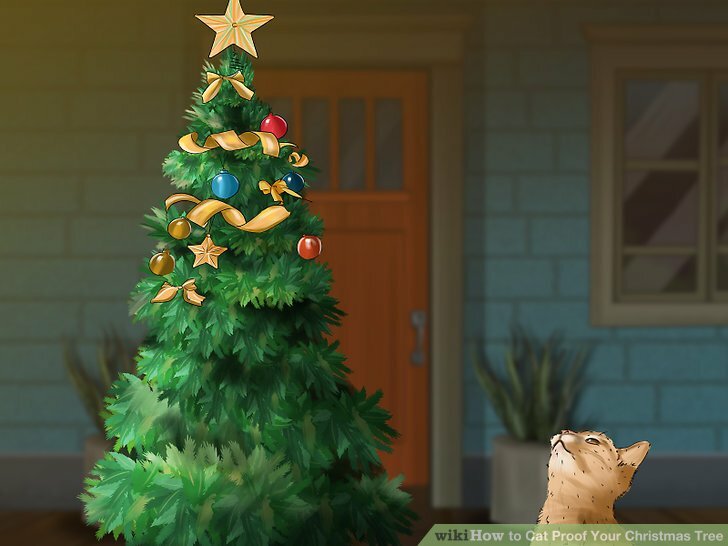 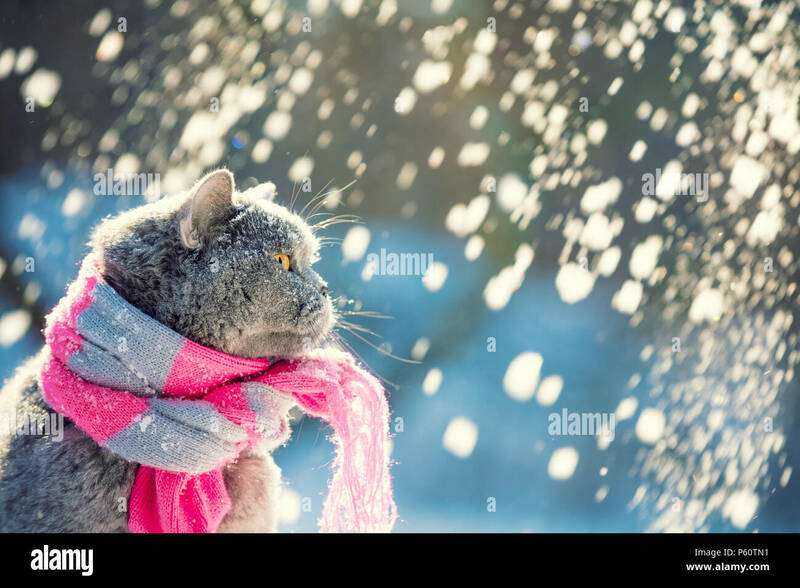 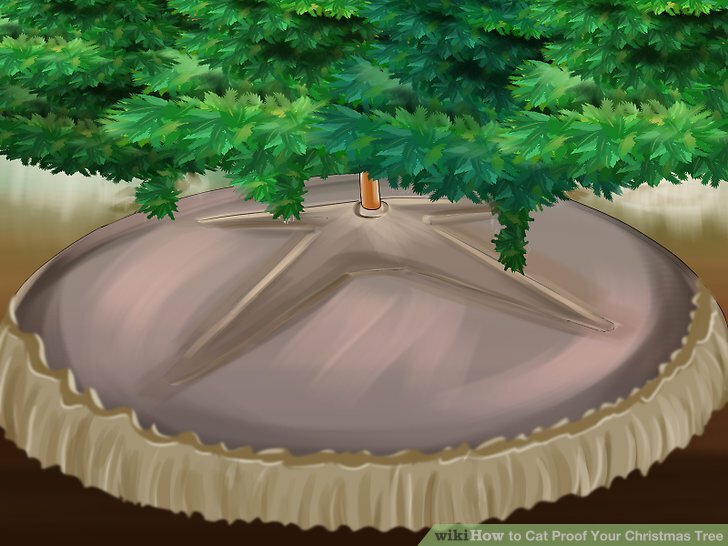 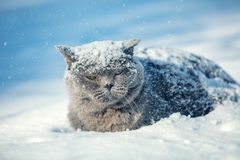 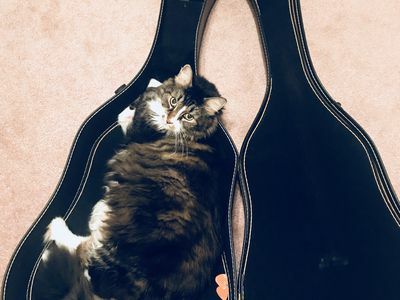 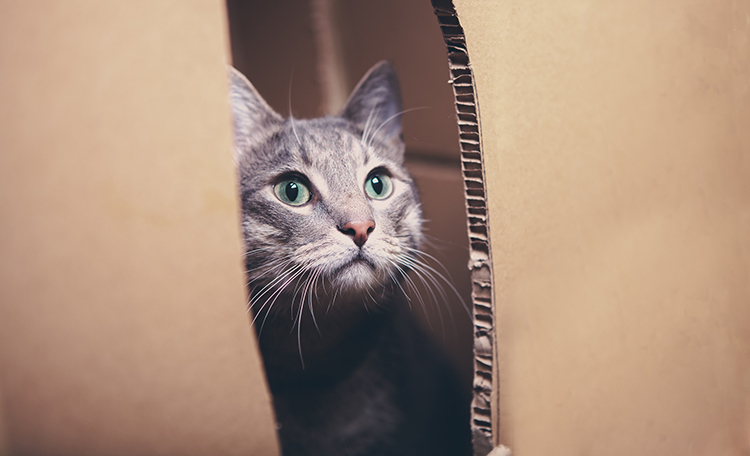 Worried that your cat will get too cold in the winter weather? 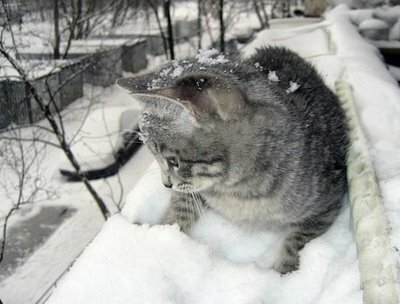 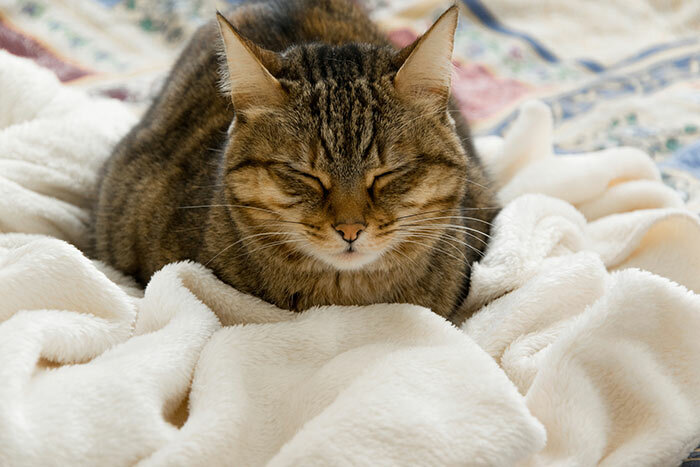 Read our advice on helping your cat cope in the cold. 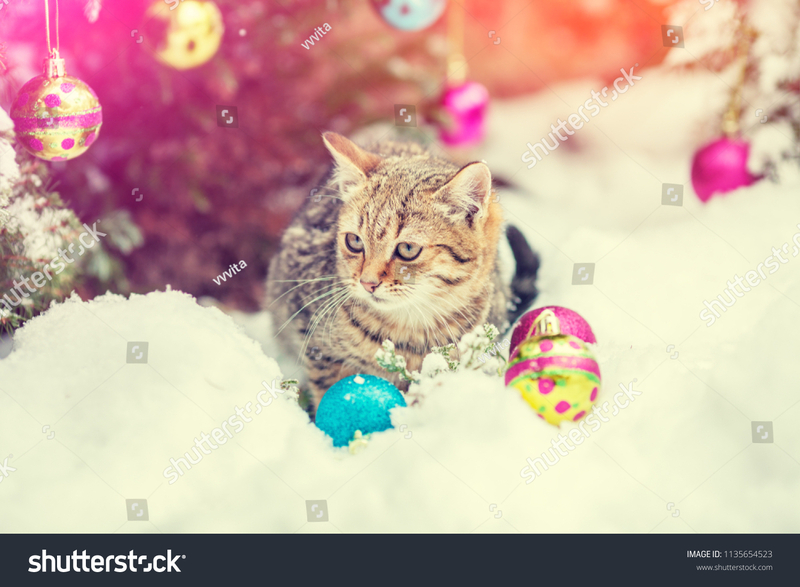 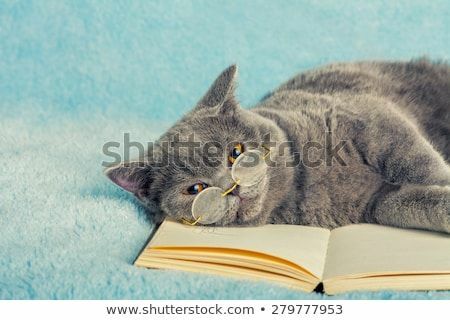 Cute brown cat lying on stone table with nature background. 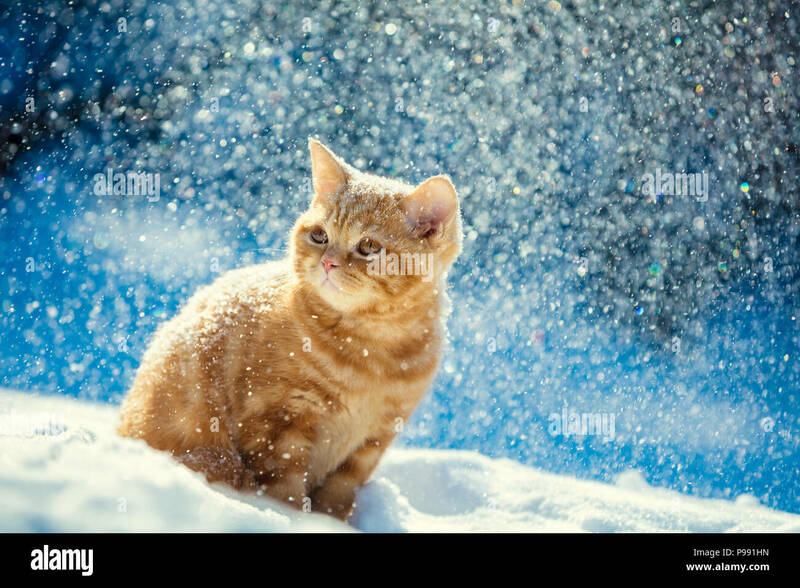 Portrait of a cat.